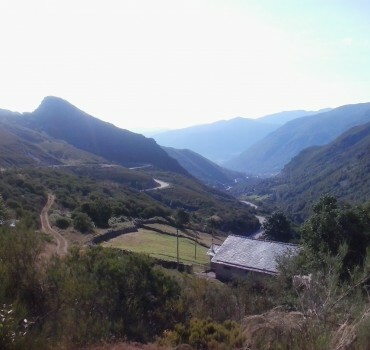 During the conception of this stage 7, the purpose was to include the border passes of Puerto de Leitariegos and Puerto de Cerredo. 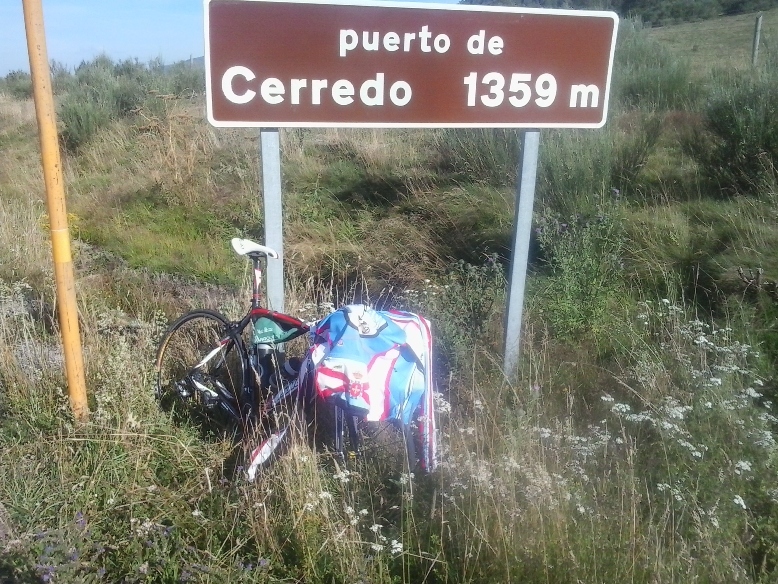 They are very close and Puerto de Rañadoiro could have been the perfect link. 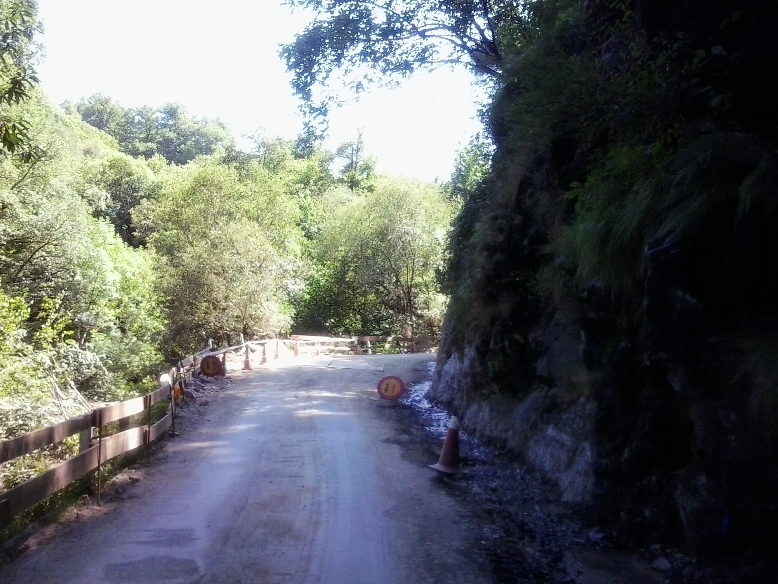 However, now that the Rañadoiro road is closed, I didn’t like the idea of crossing the 2-km Rañadoiro tunnel. 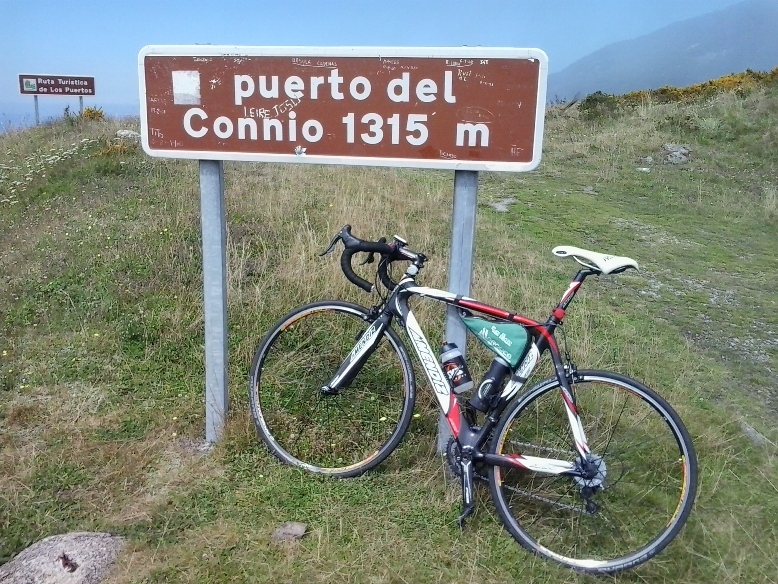 So, the alternative shortest route travels through Puerto del Connio and Ibias region. It’ll be a very tough stage. 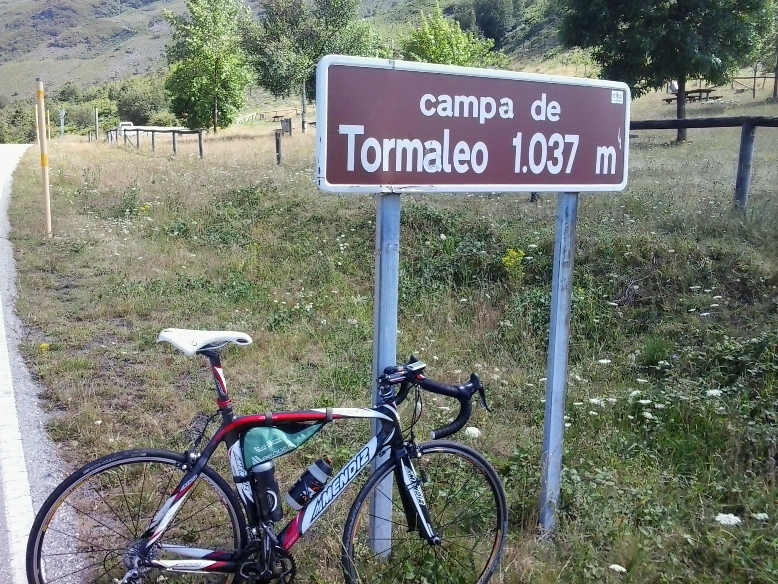 I had a week of rest since the last cycling outs (stage 3 + Angliru + stage 5). Which means, I’m fresh enough and with the good shape obtained after those 3 stages. I think I’m ready to do stage 7. If you are interested, you can download the .kml file for this route in the next link: Stage_7.kml; or check the map and profile. 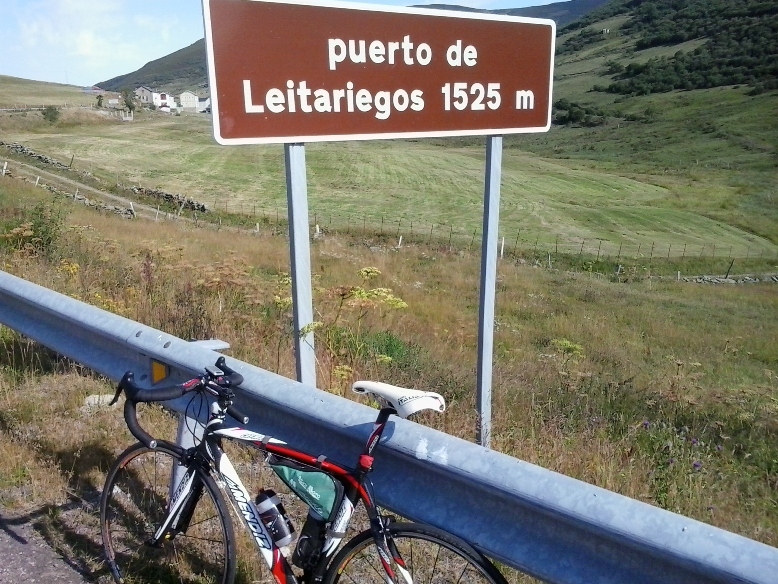 I leave the car in Caboalles de Abajo and start the climb to the first pass, Puerto de Leitariegos. The morning is sunny. Good pavement and low gradients make an easy uphill. 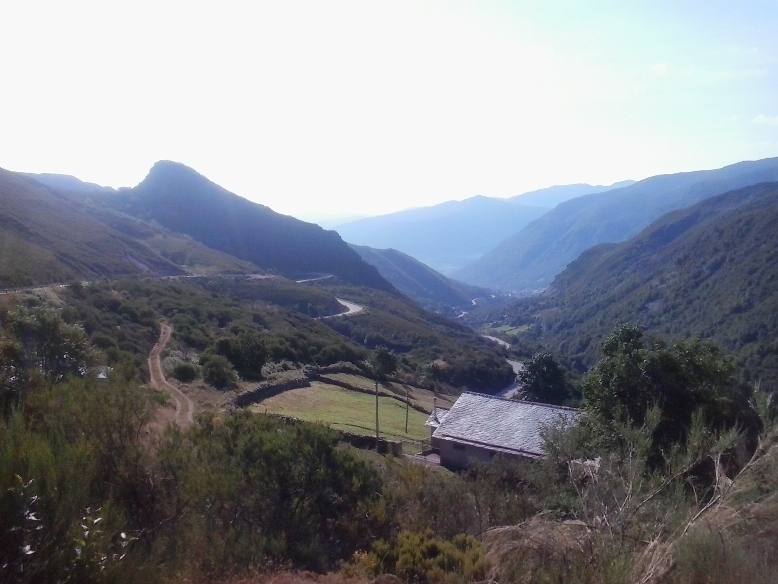 The weather changes suddenly when cross to Asturias. Dense fog and very cold. I have to put the long sleeve maillot. 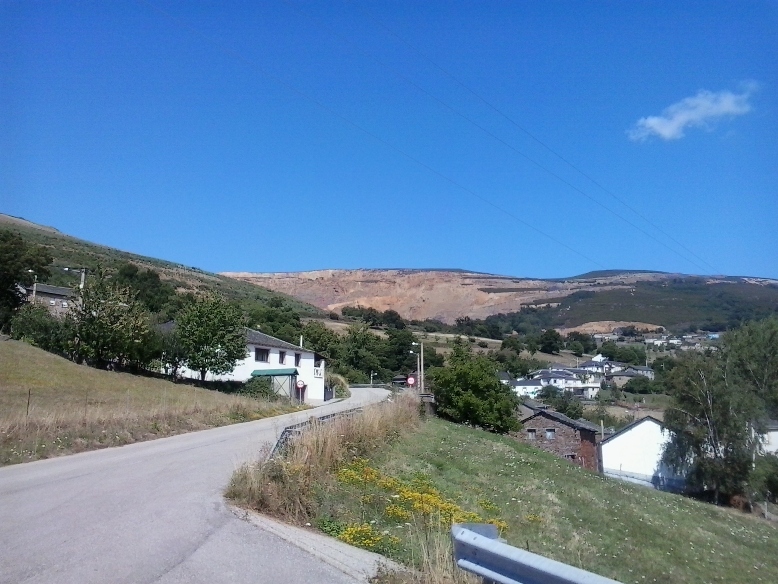 There are around 35 km of favorable gradient until Cangas del Narcea; so it’s better to not get so much cold. What a traffic chaos in Cangas! I didn’t expect this village can have so many traffic. Luckily, most of the traffic disappears when I take the AS-15. 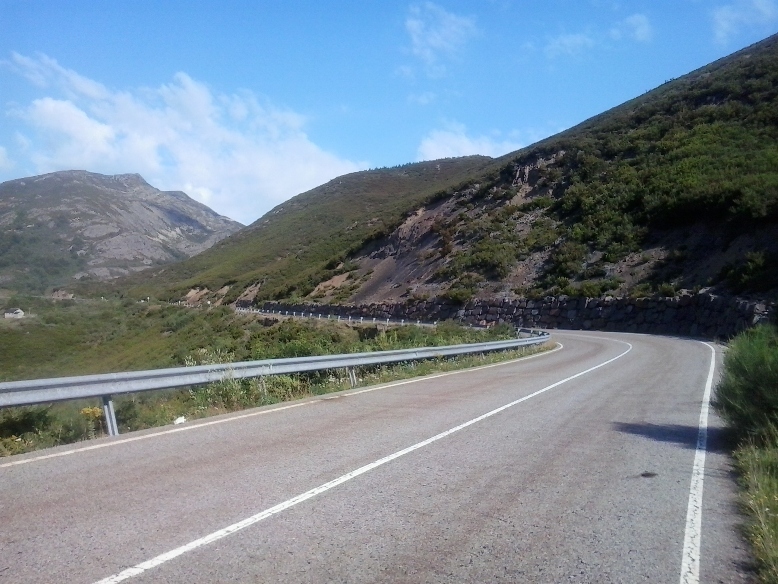 This road will leave me near Moal, town where Puerto del Connio starts. I’ve been heard very good comments about this pass. Moreover regarding the downhill to Ibias. 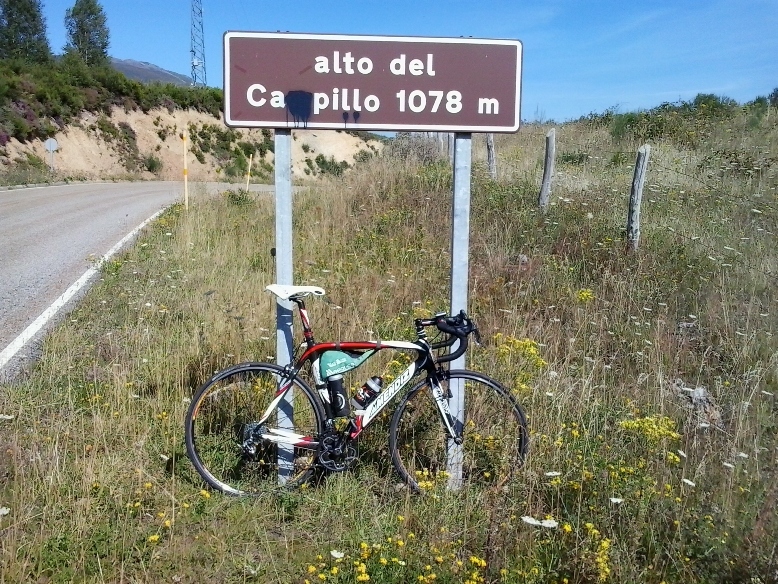 It didn’t dissapoint me, neither the uphill nor the amazing and technical downhill. The uphill combines some steep sections with another easy ones; forests and open areas where you can enjoy Muniellos nature. The downhill is great. Narrow road in its most, but quite good pavement. In my opinion, this slope in more scenic that the Moal one. 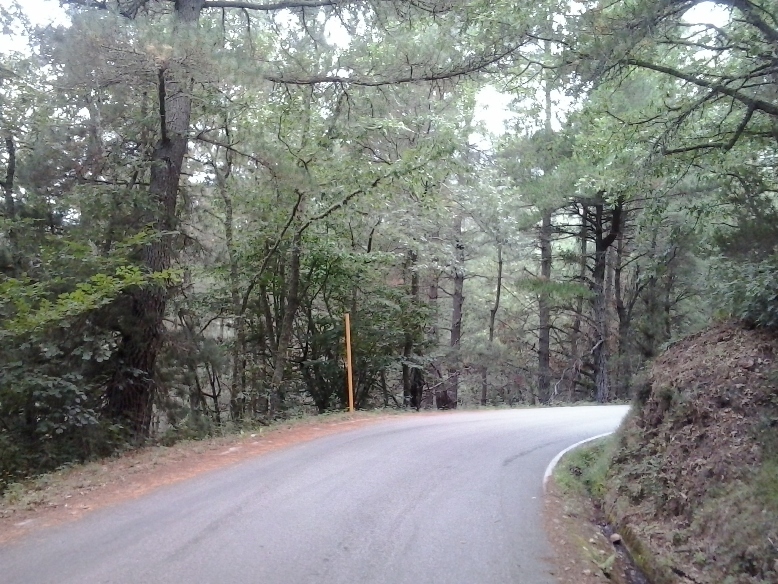 Near Cecos, the downhill ends and suddenly, very steep slopes take me by surprise. I take off the long sleeve maillot. 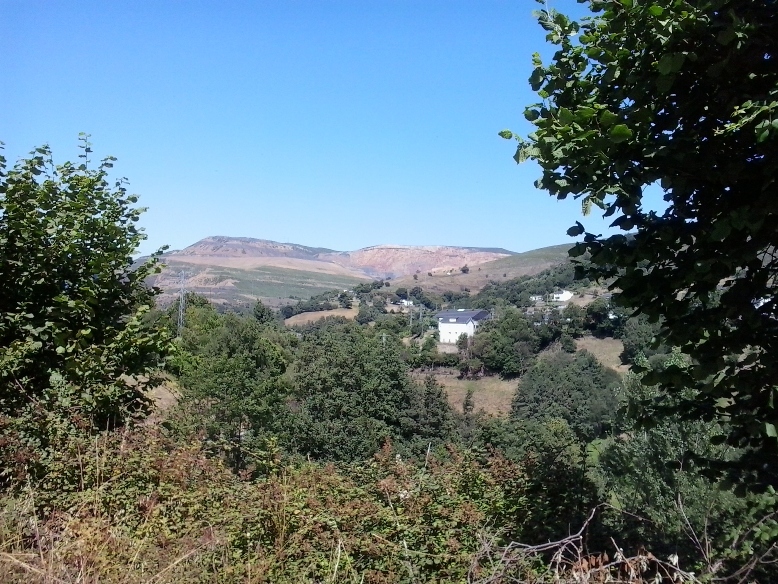 It’s around 2:00 PM and sunny, but not so much hot. Kilometers go slow. 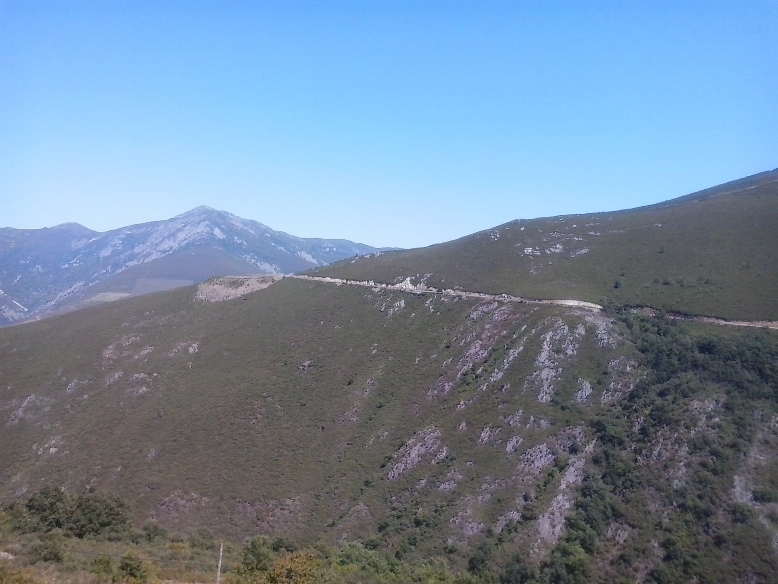 I reach Boiro, Busante,… uphill, downhill,… it’s the first time I pass along this road, either by car or by bike, and it’s been hard.